Food: you need it. But sometimes, you eat even when you’re not hungry. You eat when you’re happy or sad; you eat with others to celebrate success or mark a special occasion. Sometimes you eat because you’re bored or stressed. Whatever your reason for eating, though, that food goes into your mouth and begins its journey through your digestive tract. And although you might not think about what happens to it then, it all affects your body and your health – for better or worse. Your food’s journey through your GI (gastrointestinal) system starts in your mouth. There, chewing stimulates the production of saliva, which is designed to moisten your food and begin to break it down, making it easier to swallow. From here, it journeys down your esophagus and into your stomach. In the stomach, acids are released to break your food down further and destroy bacteria that could be harmful. It’s a quick journey that involves some very complicated processes, so it’s not surprising that sometimes, these processes can go wrong. When this happens, you may experience some mild, short-lived GI symptoms, like hiccups, burping, bloating or stomach ache and presume something in your gut is awry. But would you come to the same conclusion if you felt tired or depressed? Probably not—even though your gut may be to blame. Gut problems can also produce symptoms like weight gain, mood swings, and fatigue. 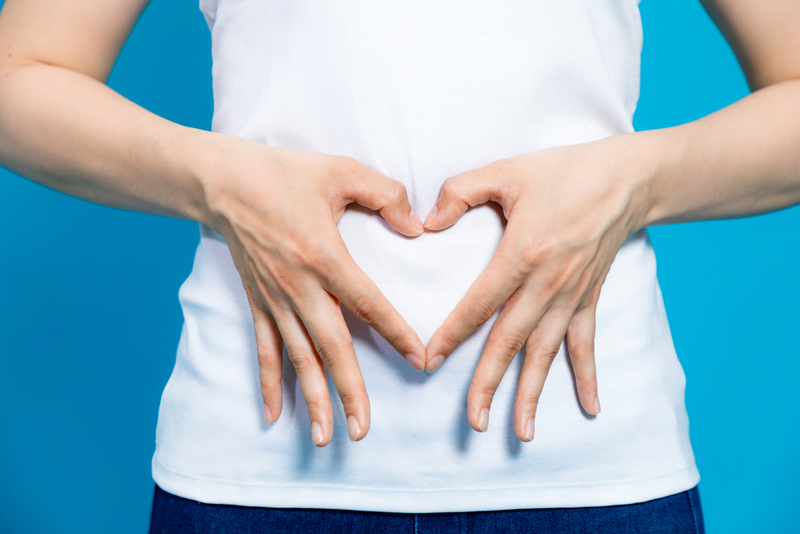 It may be difficult to grasp, but science is proving that your gut may be responsible for many seemingly-unrelated health problems. A May 2013 study revealed a connection between depression and ‘leaky gut’–a condition where intestinal bacterial escape through your intestinal lining to contaminate your body. Researchers found that over a third of the depressed patients they studied were suffering from leaky gut. Gut problems are also sometimes responsible if you’re having a problem with staying focused. Another 2013 study discovered that subjects with a Helicobacter pylori bacterial infection were less successful at cognitive tests. This is significant when, according to NIH figures for H. pylori infection, 1 in 5 people under 40 and 1 in 2 people over 60 are sufferers. It seems that your GI may have as much control over your mental and physical health as your brain does. So, what should you do if you’re suffering from stomach discomfort, acid reflux, or chronic coughing or belching after meals? These are all potential signs of a GI disorder, and the person most qualified to diagnose and treat your condition is a gastroenterologist. A GI doctor will also be able to give advice on any lifestyle or dietary changes needed to control or prevent your symptoms in the future.